Thelma is a former field editor for Taste of Home magazine and has a huge collection of recipes submitted to her from cooks across the USA. 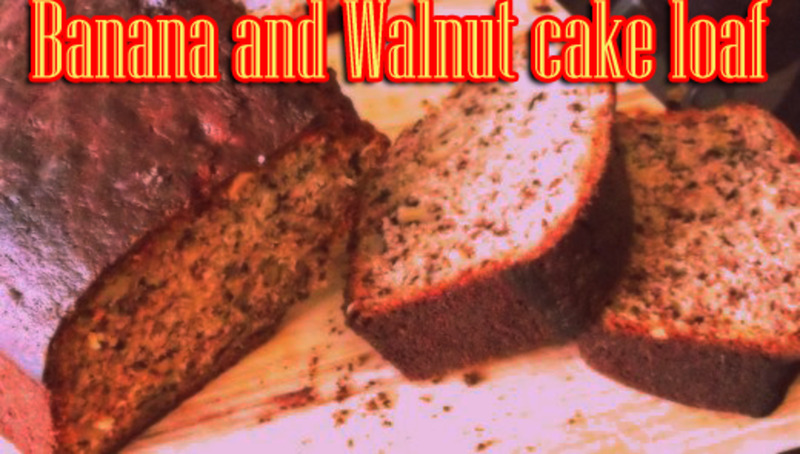 This recipe was shared with me back in the 1970's by one of the readers of my recipe newsletter, Homemaker Headlines. 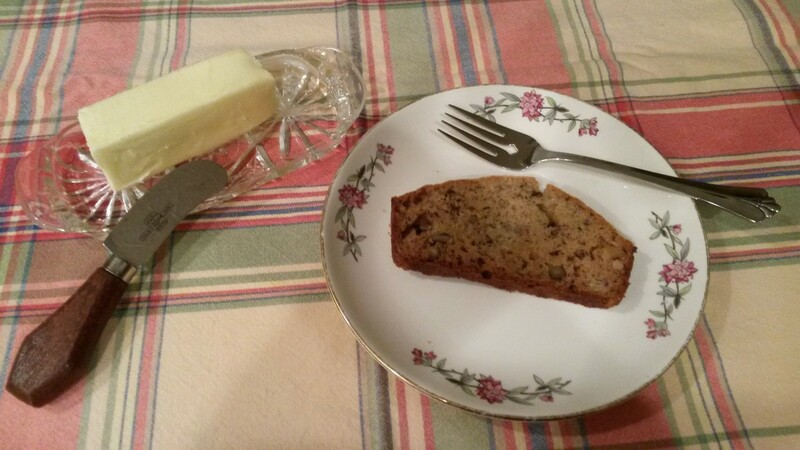 Mary, an Iowa farm wife, explained her husband enjoyed a break from his chores around 10:00 each morning with a hot cup of coffee and a treat such as this Banana Walnut Bread. 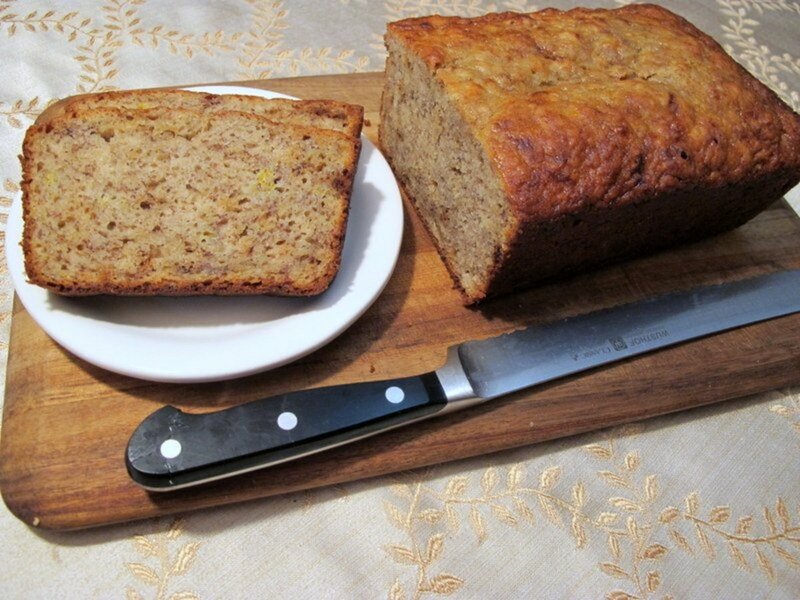 I had never made banana bread using sour cream or cinnamon but once I tried this recipe, it quickly became a favorite at my house. I hope your family will enjoy it also. Photo by author, Country Homemaker, and may not be used without permission. Preheat oven to 350 degrees. Lightly spray a non-stick loaf pan with cooking spray. If you don't have cooking spray on hand, grease pan lightly with butter or margarine. Sift together flour, baking soda, cinnamon and salt. Set bowl aside. 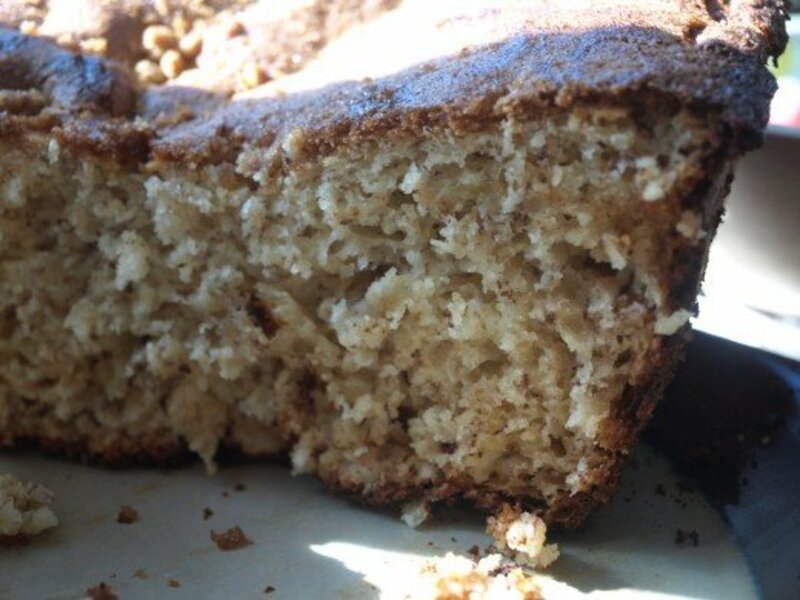 Beat sugar and eggs with an electric mixer until fluffy. If you are using a sugar substitute such as Splenda, it will probably be more of a pudding consistency instead of fluffy. It will work fine. Add oil to the sugar and egg mixture and stir in well. 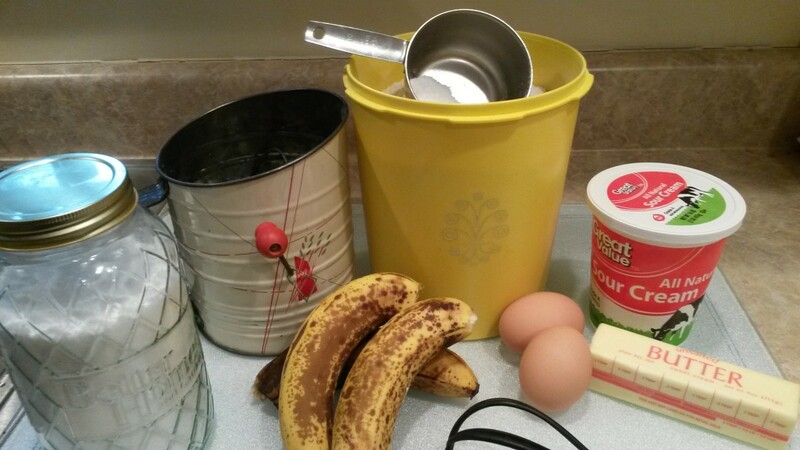 Mash the bananas well in a bowl using a fork or pastry blender. 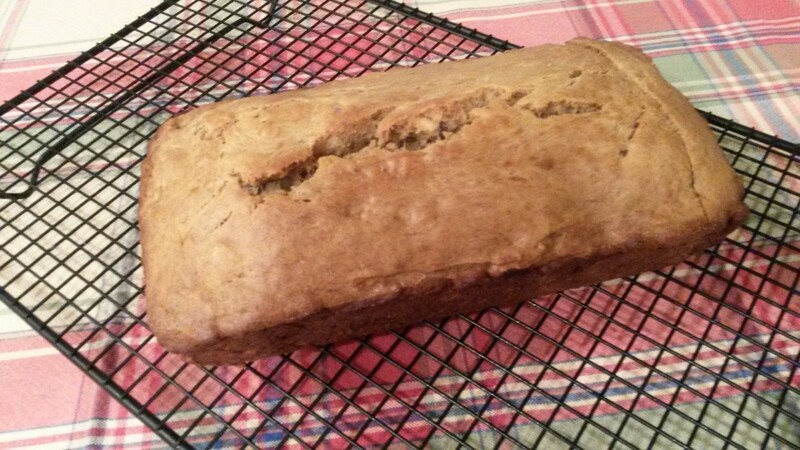 Now you see why the recipe calls for ripe bananas as the softer they are the easier they are to mash. Flavor counts more than consistency. Note the ripe bananas shown in the picture above. Add the mashed bananas, sour cream, vanilla and nuts to the egg mixture. Mix together well. Slowly add in the flour ingredients a little at a time, mixing as you go. 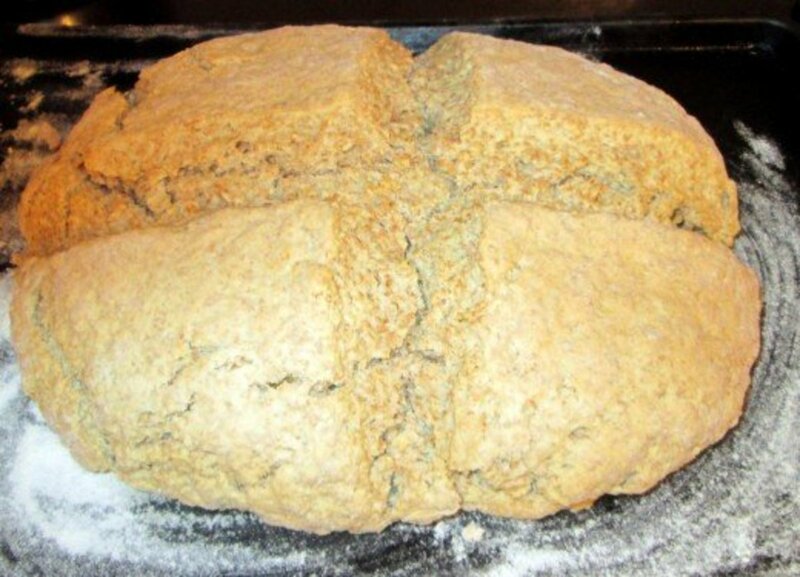 Pour into the loaf pan. Bake on center rack of pre-heated oven for 45 minutes or until toothpick inserted in center comes out clean. Remove from oven and set pan on a wire cooling rack for 15 minutes. Then turn bread out of pan onto rack to continue cooling. 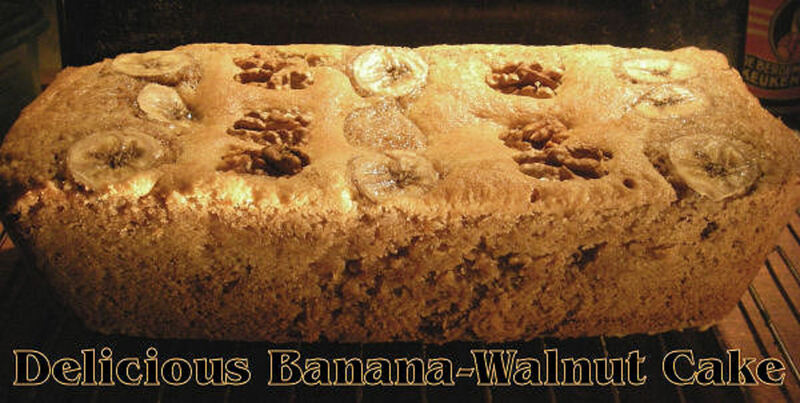 This Walnut Banana Bread is delicious served warm. Just cut into slices and spread with butter. Or let cool completely and put in ziplock plastic bag to serve later or to freeze. Photo by the author, Country Homemaker, and may not be used without permission. What Does it Mean to Sift the Flour? New cooks may not understand what it means when a recipe tells you to "sift the dry ingredients". There is a special cooking tool called a flour sifter as shown in the picture here. Just add the dry ingredients, hold the sifter over a bowl and turn the crank. This makes the dry ingredient lighter so they will mix together easier. This is a flour sifter that is needed to sift the dry ingredients as called for in this recipe. Be sure the loaves have cooled completely on a wire rack. Wrap each loaf in aluminum foil or freezer paper. I usually use double protection by wrapping the bread first and them putting it in a plastic bag that is made for use in the freezer. 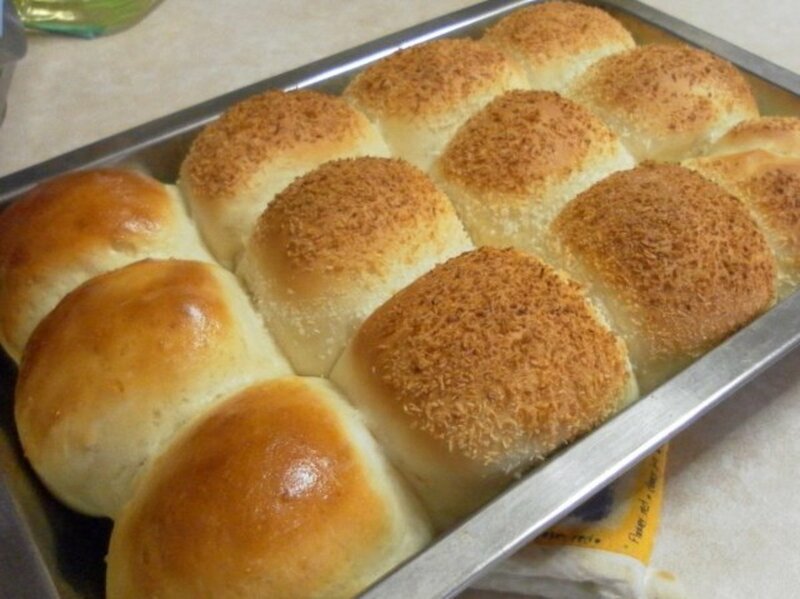 Breads of this type are best eaten within 3 months. Don't forget to mark the date on the wrap or bag. You can either mark the date you baked it or the date you want to use it by. The choice is yours but always be consistent with your method of dating. You can freeze the loaf whole or slice into individual servings, wrapping each separately. Frozen loaves should be thawed completely at room temperature. Individual slices can be thawed in the microwave. Remove the wrapper, place slice on a paper towel, microwave on High for 30 seconds. 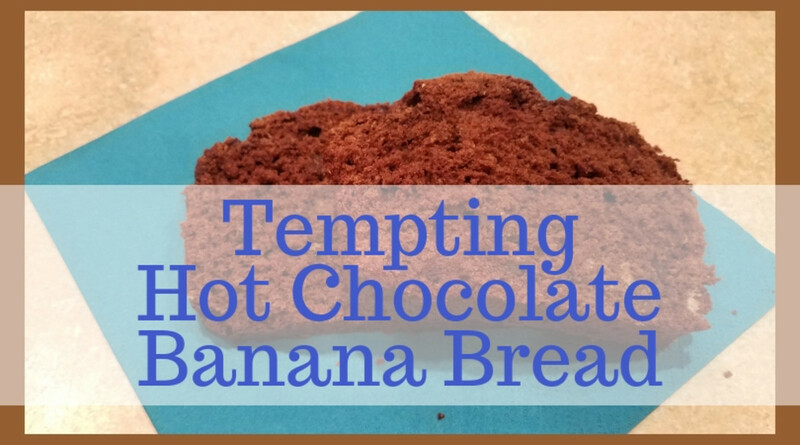 Do you plan to try this recipe? Yes, it sounds like a bread my family would enjoy. No, my family doesn't like bananas. No, we don't eat walnuts. This recipe sounds mouth watering. I am getting hungry just thinking about it.